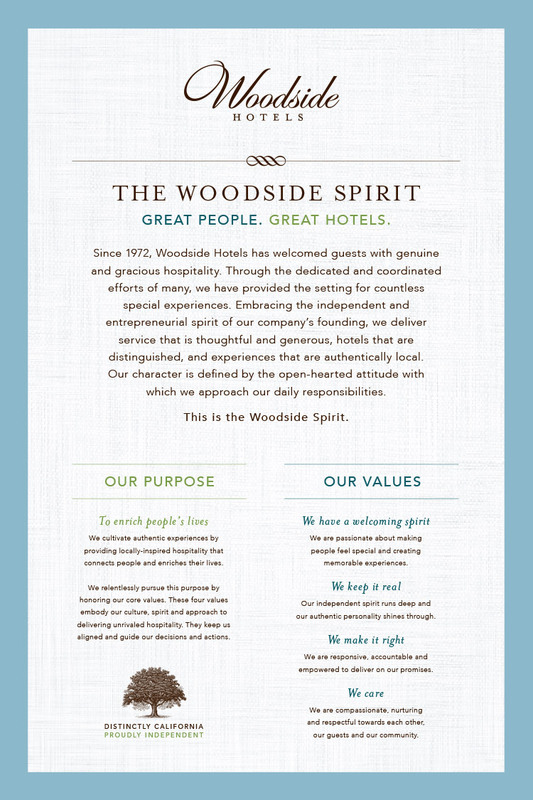 Woodside Hotels - Why Work Here? We value open and honest communication at all levels of the hotel, and our General Managers and company executives have an open door policy. Our hotels and restaurants serve very special, kind and interesting guests. And that makes life interesting. We are a collection of smaller hotel, but large in spirit, creativity and sense of ownership. Our hotels are civic leaders in their community, and it feels good to do good. Our hotels and restaurants are top-rated in our markets (go ahead, look us up on TripAdvisor.com and see what our guests have to say about us), and it’s fun to work with the best.